On August 21, 2017, there’s going to be a total solar eclipse that will captivate much of the country. The Great American Eclipse, as it’s being called, is scheduled to pass over a long stretch of land from northwestern Oregon all the way to South Carolina. Those who are lucky enough to see the eclipse will be able to watch the moon pass right in front of the sun, and for a few moments, daytime will look like night. It’s going to be quite a sight, and it won’t be coming back around anytime soon. One of the problems with watching a total solar eclipse, though, is that it can be a very dangerous to look directly at the sun for even a short amount of time. Young kids in particular can easily sustain eye damage when looking up at the sun. So the Space Science Institute is partnering up with public libraries all across America to provide kids with solar-viewing glasses that will allow them to watch the eclipse safely. 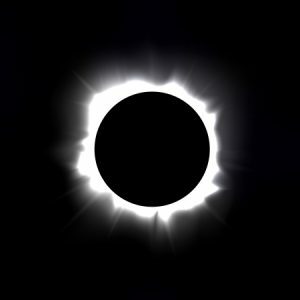 There are going to be almost 5,000 libraries taking part in the campaign, so if you plan on watching the eclipse with your kids, you should check with your local library to see if they have the glasses available. While kids should wear special sunglasses during an eclipse in order to avoid eye damage, they should also wear sunglasses throughout the course of the summer—and really, any time they are out in the sun—to keep their eyes protected. Prolonged exposure to direct sunlight can do irreparable damage to young eyes. That’s why Real Kids Shades has created a collection of sunglasses specifically for kids. Our glasses are designed to shield your child’s eyes from the sun so that they can play outside without risking damage to their vision. Give us a call today or contact us online to learn more. Find Real Kids Shades at Cheekade Meekade in Bay Harbor! Take Advantage of Real Kids’ Facebook Promotion Before June 30!